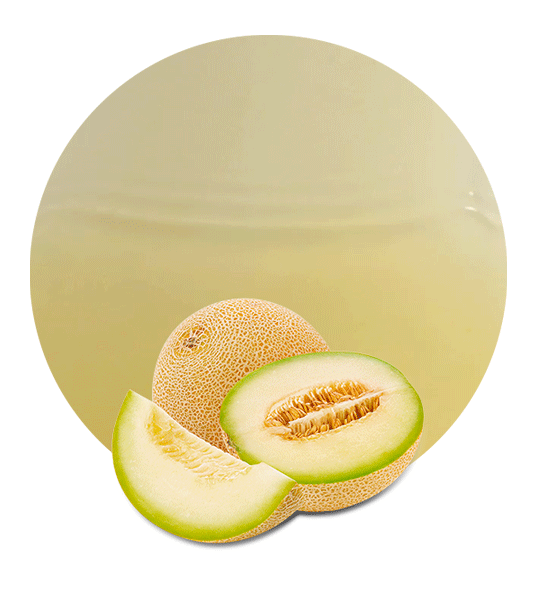 We only choose the best honeydew melons to elaborate our honeydew melon Juice NFC, melons bursting with flavor and that are incredibly, naturally sweet. 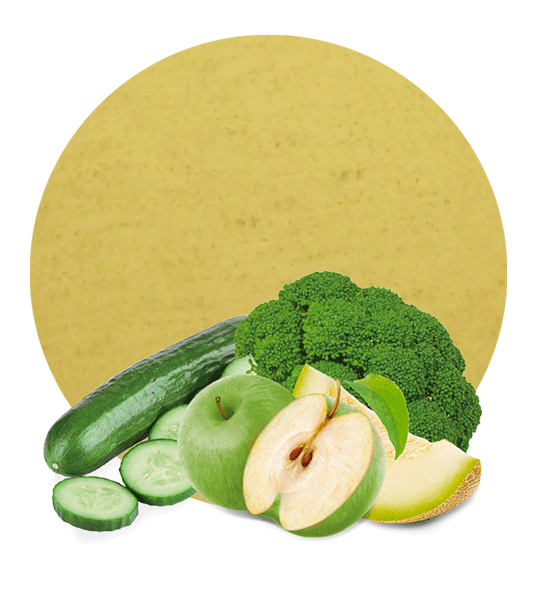 There is no denying the quality of the fruit used in our product. You can really taste the fruit and it is the perfect product to achieve a very natural juice or beverage. It is maintained frozen at -18 degrees. 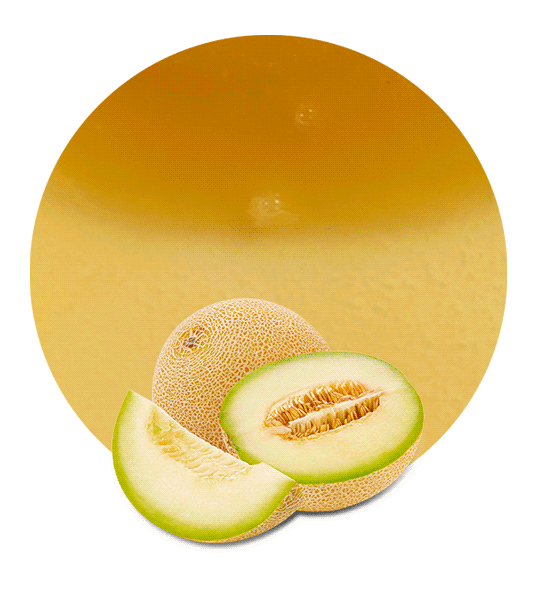 Honeydew melon is a tasty fruit that is full of vitamins and goodness. The fact that is so delicious is in itself enough to keep people satisfied and to keep them coming back to the product, and on top of this, it is healthy and has many benefits and is therefore more attractive to health conscious consumers. It is low in calories and naturally sweet, making it ideal for the diet market. There is no need to add artificial sugar. The honeydew melon fruit from which it is made is high in vitamin C, vitamin B3 and vitamin B1, and also provides many minerals, including potassium, phosphorus, iron, zinc and calcium. Thanks to its nutritional properties, it is great for giving the immune system a good boost, relieving indigestion and gas and for strengthening the bones and teeth. It also aids weight loss and is beneficial for the skin. Its high water content means it is a great way to keep hydrated, too, and the high fiber content can help fight problems with cholesterol. We are a highly experienced supplier and experts in our field of work. All of our juice products are made in modern production facilities using the freshest fruit, and we do not just make honeydew melon juice NFC. We also produce concentrates including pineapple juice concentrate, mandarin juice concentrate, apple juice concentrate and lemon juice concentrate. We are proud to provide customers with a high quality, flexible service and logistic solutions to suit their needs and requirements.